Hard-working Washington and Seattle residents surrounded by equipment take risks on a daily basis. No matter how careful they are, an equipment defect can have tragic consequences. At Kraft Davies, PLLC, in Seattle, Washington, we provide a level of representation that few other firms provide. We hold equipment manufacturers accountable when our clients suffer career-ending or life-ending injuries. 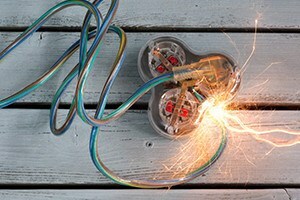 Defective equipment can cause electrocution or serious burns in an explosion. If you have suffered a severe product defect injury, we will focus on finding the responsible party. Contact us at 206.624.8844. Immediately after an accident involving defective equipment, you should seek medical care. If you are on the job, your employer may urge you not to see a doctor or make an appointment with a physician of their choosing. You have rights in these types of accidents, including the right to seek the healthcare you want. At Kraft Davies, PLLC, our personal injury attorneys will even the odds when you face off with a large employer or an international product manufacturer. Negligent parties must be held responsible for your injuries. That will involve a detailed investigation of the equipment defect and the resulting accident. Was something overlooked during manufacturing? Was the equipment poorly maintained at the worksite? Using our network of experts helps us answer those difficult questions. We will be at your side to get you the compensation you deserve, whether you were severely cut during a do-it-yourself project by the unguarded blade on a saw or your injuries resulted from operating complicated construction equipment. In that case, workers' compensation may cover a portion of what you deserve, but we will seek additional damages from the party responsible for the equipment defect. For more information or to schedule an appointment with an experienced Seattle injury lawyer regarding an accident caused by a dangerous product, please contact us online or call 206.624.8844.